Joaquin Ramon Herrera is a writer, illustrator, director, cinematographer and artist-activist. He blogs at The Unapologetic Mexican and you can read more bio here. Check out Scary: A Book of Horrible Things for Kids on Amazon. 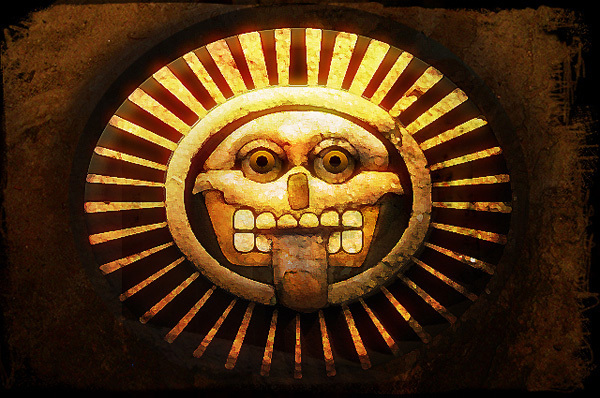 As is true in so much of your artwork that I’ve seen in other places, the way you hit light & shadow, and the instantly recognizable iconic nature of the image makes Mictlantecuhtli look as immediately 21st Century as he does classically Aztec – I love this piece.